Forward Plumbing is a family run business with over 35 years of experience as fully qualified plumbers in all areas of domestic and commercial plumbing and heating, boiler repairs and bathroom refurbishments. We are a friendly, well established and reputable local business based in Eastbourne, servicing the local area and Sussex. Our local plumbers and local heating engineers are all Gas Safe registered and fully insured. We understand the importance of offering a professional and trusted service and are always happy supply a free quote. Forward Plumbing also provides an out of hours call out service for those plumbing, heating or boiler emergencies that just cannot wait. So if you are thinking of a new boiler or bathroom, boiler service or advice, and need a plumbing and heating engineer you can rely on - please call Forward Plumbing Services today. I would just like to take this opportunity to thank you and your team for the professional and cost commercial services supplied recently on our property. Both from a Company and personal perspective, I would be delighted and pleased to both use and recommend your services in the future. Please pass on my thanks to your colleagues. We operate a home improvement and complete property refurbishment service. Managing property refurbishments with no stress to the client and keep within budget. We are qualified to carry out legionella water testing in both domestic and commercial properties. Does your Commercial premises comply with current legislation L8? That requires every commercial building to have a current Legionella risk assessment. Failure to comply could mean prosecution in the event of an outbreak. Forward Plumbing Services can carry out and complete a risk assessment of a commercial property from £195+VAT and a domestic property from £85+VAT. The energy saving trust estimates that a central heating boiler is responsible for 60% of your household energy bills, so having a more efficient boiler can make a sizeable difference to your bills. Most new condensing boilers are A rated which means their efficiency is 90% or more. The efficiency of your old boiler will depend on a number of factors but typically an old non-condensing boiler would be G rated which means it is less than 70% efficient and could well be 55% -70% efficient. 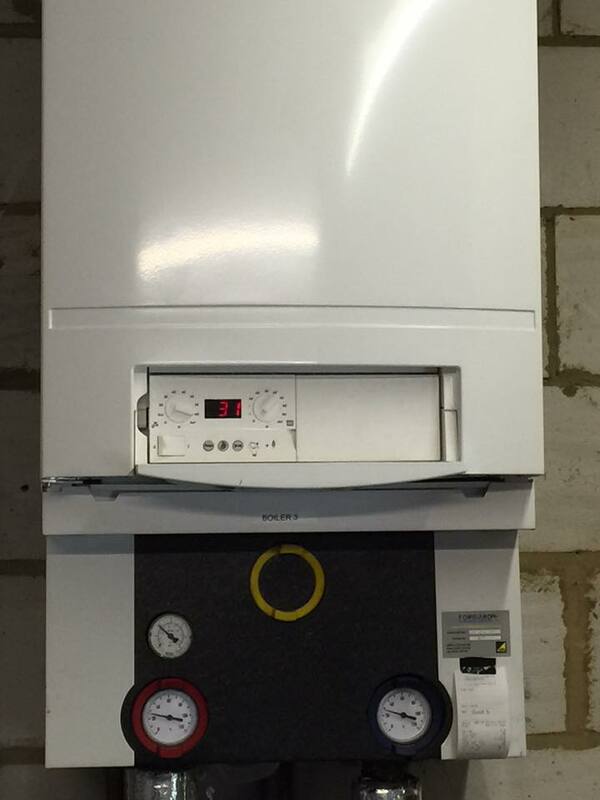 Depending on your gas bill, moving to a more efficient condensing boiler could save £200-300 per year. Here at Forward Plumbing Services we love installing new bathrooms from start to finish and we can offer a complete service from 3D image design, plastering, electrical, carpentry, tiling and plumbing. Our aim at Forward Plumbing Services is to make the process as simple and stress free for the client. Update your old inefficient boiler with a 0% deposit available. Free No obligation quotation carried out in your home. 10 year warranty available on selected boilers. If you are planning a property refurbishment or home improvement project we can help you. Forward Plumbing Services also operate a home improvement and complete property refurbishment department, we can arrange and manage property refurbishments with no stress to the client and keep within a budget. Is your company Legionella safe? Don't just read about our services, see the quality of our work.